I've only been using serums for about a year and I haven't experimented with very many. Okay, if I'm being honest, I've actually only ever tried one, maybe two tops. I figured the one I used worked well enough so that's where I left it. 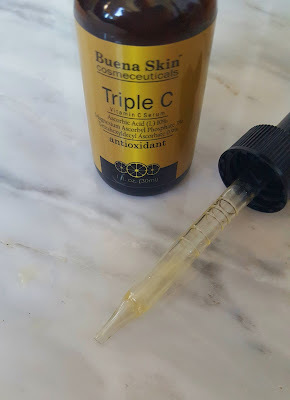 When I received this Triple C Vitamin Serum from Buena Skin, I thought it sounded nice, but I expected it to be like the other serum(s) that I've tried. Still, I'm adventurous, I thought why not give this one a go. It claims to boost collagen, repair sun damage, block melanin, fight acne, fade age spots and fight wrinkles. That's a big claim and while I can't promise it does all this, I will say this serum has made my skin look amazing. Upon first use it made my skin look much brighter and healthier. I'm lucky in that I don't have much sun damage (thanks mom, for the SPF 80) and acne, I am starting to see fine lines and wrinkles. 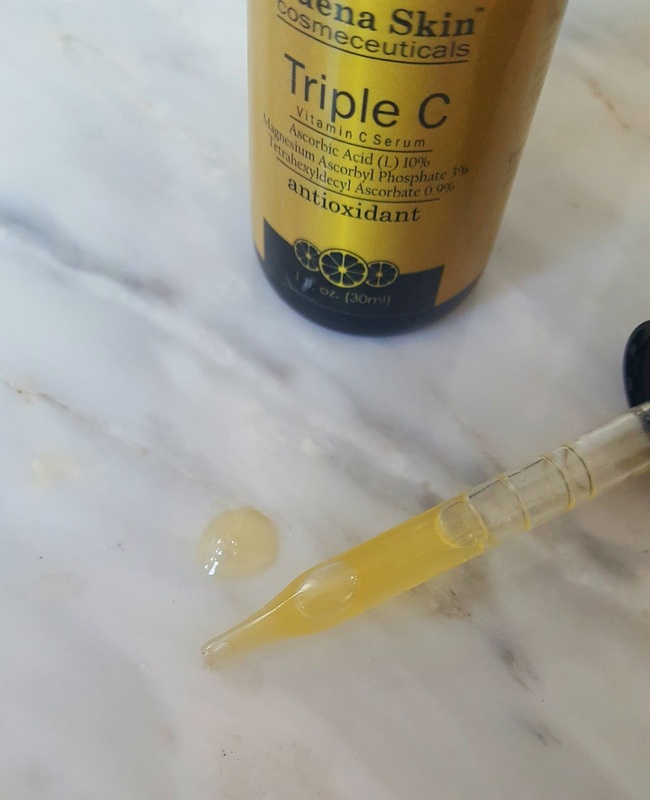 While I'm not sure if this serum will work complete miracles on them, I can say the serum seems to hydrate my skin, making it look plumper and definitely making those wrinkles look less defined. I don't know if I can say this is a miracle in a bottle, but it's definitely impressed me beyond being just another serum. If you're interested in trying this serum out yourself, you can purchase it here. If you use the code BSTRIPLE $3.99 you can purchase the serum for just $3.99 now. That's a steal and I'm planning on buying myself a couple backups! Serums are great for hydrating the skin and helping give your skin that healthy glow. Sounds like a great product! Nice review, Kim! I am all about vitamin C serum's. This looks like a great one Kim! Hope you have an amazing day beautiful!! 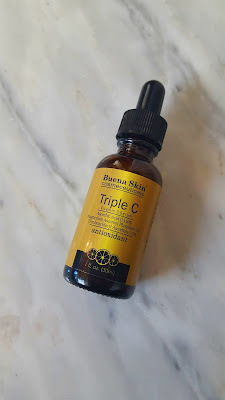 I've never really tried a serum before, except for some of the free samples that I get when I buy makeup, but this one sounds like an amazing deal! Thanks for sharing your review Kim! I hope you have a lovely rest of your week! Vitamin C is great for brightening skin! This sounds like such an impressive product, especially considering the price! Hope your week is going well, Kim!